I’m still on a big Spider-Man kick. (I just recently got 100% on my game!) When I was younger, my two favorite Spider-Man villains were the symbiotes. I already touched upon my favorite of the two, Venom, last week. This week I’m going to look at the other big symbiote villain, Carange. Let’s have a look! Weapon Shifting (Ex) Carnage can use his body to create weapons from the symbiote attached to its body. 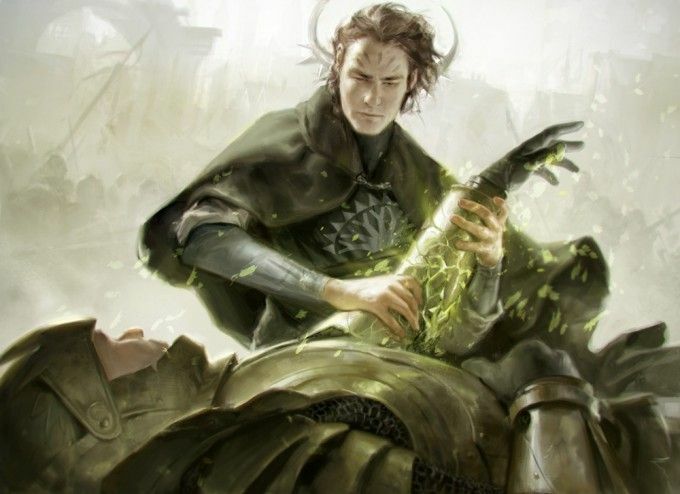 This mastery over its body allows Carnage to apply 1-1/2 its Strength modifier to all of its natural attacks. In addition, Carnage can choose whether his natural attacks deal bludgeoning, piercing, or slashing damage or some combination of the three. Finally, Carnage can use this ability to produce a thrown weapon with a range of 30 feet that deals damage as a natural attack at-will. Web-swinging (Ex) Carnage is constantly under the effects of spider climb. In addition, he can create lines of webbing to move around using his surroundings. This allows him to act as if he had a fly speed of 50 feet (perfect) whenever there is a building, piece of terrain, or other environmental feature higher than him. He cannot go higher than the tallest environmental feature within 100 feet of him. Web Shooters (Ex) Carnage can fire strands of webbings to tie up his foes. He can fire webbing at a creature within 60 feet as a ranged touch attack. If the attack is successful, the target becomes entangled and is anchored to the ground. An entangled creature can attempt to break free with a successful DC 23 combat maneuver check or Escape Artist check. A creature can cut the web by dealing at least 20 points of slashing damage to the webbing. The save DC is Constitution-based. 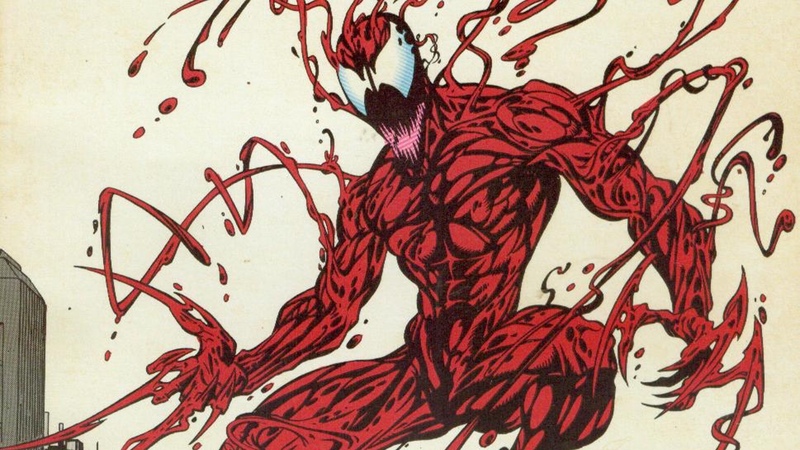 Carnage is the name of a unique alien symbiote, similar to the Venom symbiote. The Carnage symbiote is actually an offspring of the Venom symbiote that attached itself to a serial killer by the name of Cletus Kassady. This new symbiote proved more powerful than its progenitor. It still granted its host the same suite of powers including increased strength, stamina, agility, a regenerative healing factor, and a number of spider-based abilities. These abilities are significantly enhanced compared to the Venom counterpart. 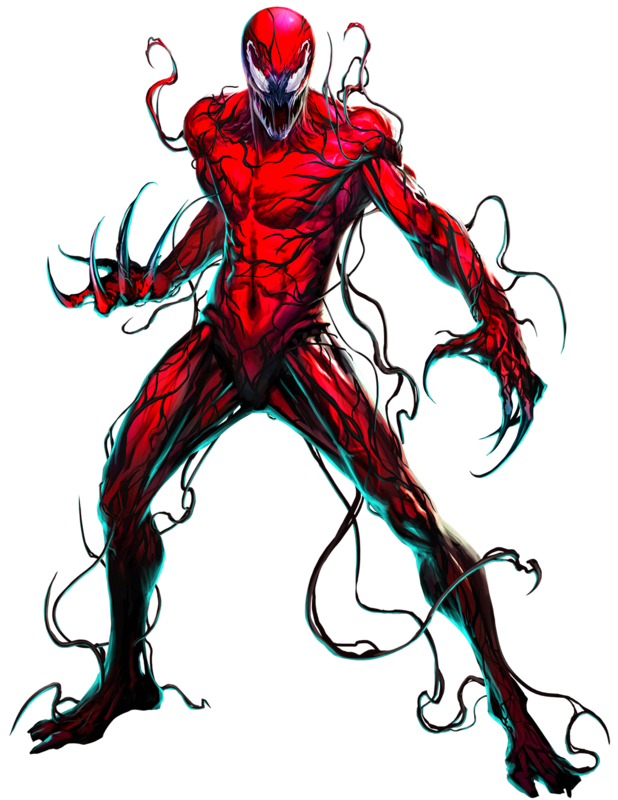 In addition to these abilities, Carnage has some shapeshifting abilities, reshaping parts of its body to form weapons to use in combat. The nature of Carnage’s host means that it is extremely violent and bloodthirsty, willing to commit murder with glee. Carnage’s constant rage and makes him a deadly foe in combat. That’s it for this week! If you end up introducing Carnage into your game or you have any request for a future Monstrous Physique, please drop me a line at KnowDirection@hotmail.com.